I knew this was going to happen. I've been saying it for a long time now, and this summer only made it more obvious: if Jon Stewart and Comedy Central didn't find a more permanent position in the Daily Show family (as they did with Stephen Colbert) for John Oliver, they were going to loose him. And so they have. "I’m incredibly excited to be joining HBO, especially as I presume this means I get free HBO now. I want to thank Comedy Central, and everyone at The Daily Show for the best seven and a half years of my life. But most of all, I’d like to thank Jon Stewart. He taught me everything I know. In fact, if I fail in the future, it’s entirely his fault." Really, Oliver's future success was only guaranteed away from Comedy Central. He was an excellent choice to replace Stewart over the summer, and is clearly the obvious choice for Stewart's successor. The problem is, Stewart isn't showing any signs of going anywhere. He still clearly loves his job, he's one of the highest paid hosts on television, and his show is the number one show in it's timeslot, by a wide margin. If Oliver had waited for him, he would have turned into Prince Charles, constantly waiting for something he might only get to do for a week before he himself falls to the ills of time. And there isn't really an organic place, or need, in Comedy Central's schedule for another Daily Show-type show. And, with no offence to either party, Oliver isn't Sam Bee or Jason Jones, who can comfortably spend the rest of their careers playing correspondent. That is their strength. Oliver, like Colbert before him, is a different sort of beast entirely. What will be interesting to see is if there is a place in the as-of-yet unnamed HBO series for former Daily Show contributor Wyatt Cenac, whose chemistry with Oliver often saw them paired. 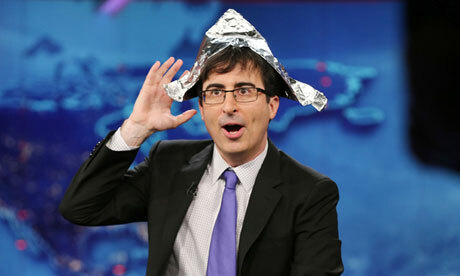 Might Oliver have already found his Colbert?